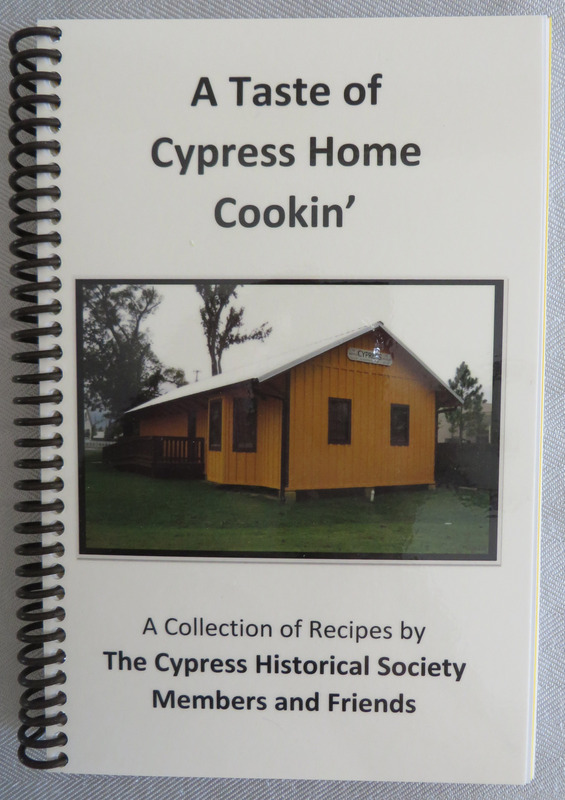 The Cypress Historical Society was established in March of 2008. Our interests include history, genealogy, and preservation of local artifacts. We hold various social events for the members, public history presentations, and study the genealogy of the Cypress families. For many years, the area along old Highway 290 known as Cypress was “just a wide spot in the road”. Oh, yes, there were a few homes, a couple of hotels, two stores, and at least one saloon, but the town of Cypress City platted by William R. Baker in 1856, just didn’t happen....until more than a hundred years later. Today, traffic whizzes along on the Northwest Freeway going east and west to and from Houston. 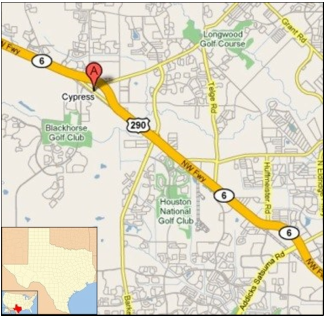 Many people exit the freeway at Cypress to grab a bite to eat, go shopping, buy groceries, or get their vehicle serviced before hurrying to their homes in one of the many subdivisions or apartment complexes that are a part of the Cypress scene today. Thanks to Commissioner Steve Radack, CHS has a home. Our building is located at Cypress Top Historic Park. The library is open Tuesday through Thursday from 9:00 am - 4:00 pm and every third Saturday from 11:00 am - 2:00 pm. Our genealogists have a wealth of information accumulated through many hours of research, and upon request, we’d gladly be willing to share it with you. We hope to see you there soon! This area located on Old Highway 290 is known as Cypress Top Historic Park. The land for the park was donated to Harris County by descendants of the original owners of the site, Mr. and Mrs. E.F. Juergen. Cypress Historical Society docents conduct many of the tours offered at the ﻿Cypress Top Historic Pa﻿rk﻿. After countless hours of volunteer work provided by members of CHS alongside historians with Harris County Precinct 3 - Steve Radack, the park held its grand opening in November of 2008. 2019 CHS Calendars are available ! Only $15 + $2.50 S&H! CHS Cookbook is available ! Only $20 + $3.50 S&H! 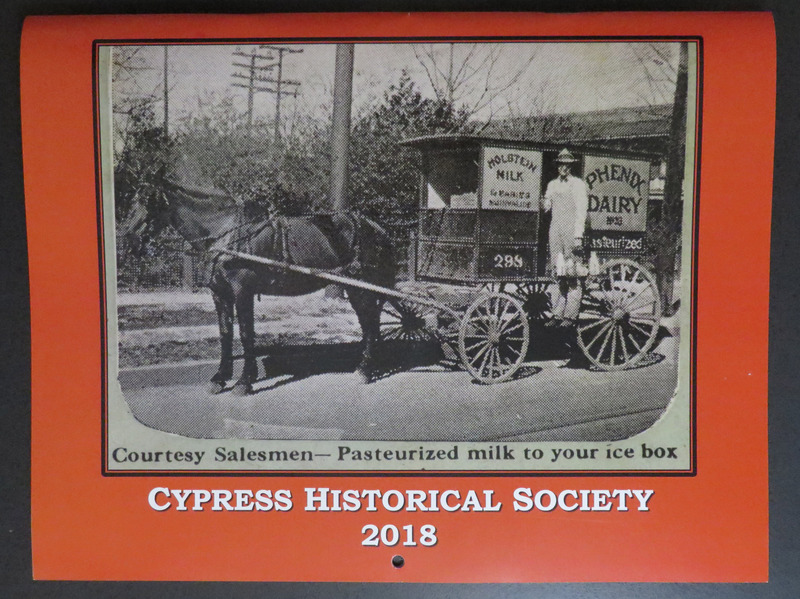 Copyright 2019 Cypress Historical Society. All rights reserved.